It’s Lights out for Sydney’s famous skyline on On March 29, 2008 at 8 p.m. for Earth Hour. On 4/29/2008 millions of people in some of the world’s biggest cities will unite to switch off their lights for one hour – Earth Hour – all in an effort to send a powerful global message on the need to collectively take action on global warming. The shutdown began Saturday in Sydney, where the Opera House and Harbour Bridge went dark along with hundreds of homes and businesses. The Golden Gate Bridge, the Bay Bridge, Coit Tower, the Ghirardelli Square sign and office towers throughout San Francisco will go dark for an hour – some restaurants also plan to turn off exterior lights and offer candlelight dinners. The biggest challenge after any calamity, esp. the magnitude of Hurricane Katrina is how to track, manage and report on what resources are needed and where. Generally all the resources pool at the very begining but due to poor management and miss-allocation the volunteers dwindle away. 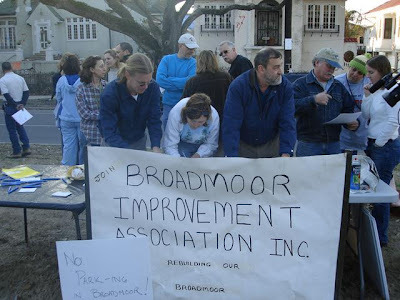 Broadmoor a town in Parish county, Louisiana was was one such working community devastated by Hurricane Katrnia. For months the residents waited for federal help on reconstruction – the final straw came when the city decided to pass a legislation to bulldoze the remaining houses to build a park. This was a wake up call for the residents who decided to rebuild their community on their own terms. Salesforce was built for salespeople, but Roark and his army of college interns have repurposed it so he can catalog the needs of Broadmoor’s 2,400 homes and the 7,000 residents who lived here before Katrina. With this database, Roark can explain to donors what they’re getting for their money. Donors appreciate that. And, Roark says, it also helps him satisfy the human needs of volunteers, who want to do more than paint a stranger’s house. Software allows us to build for efficiency, communicate better, and strengthen existing communities. This is an excellent example of where an innovative community leveraged an existing tool to meet their needs.